Users have questions. Your content and website navigation can help them find answers, or potentially cause frustration. One tool for answering questions is up for debate: are FAQ sections still relevant in 2015, or are they a relic of bygone days? 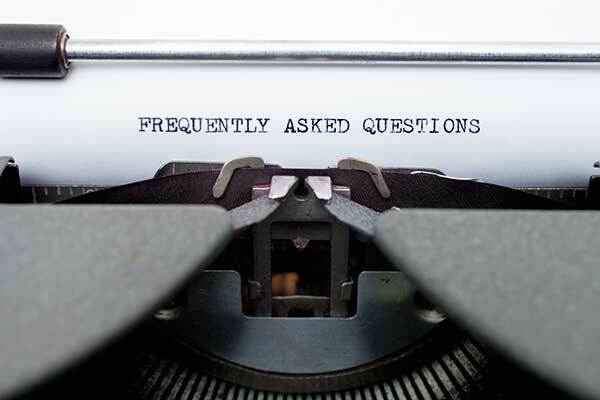 Nielsen Norman Group recently published two articles arguing for the continued use and usefulness of FAQs: FAQs Still Deliver Great Value and An FAQs User Experience. In response, a counter opinion was released by Gerry McGovern: FAQs Are the Dinosaurs of Web Navigation. Previously, the UK Digital Government Service published an article on their approach: FAQs: Why We Don’t Have Them. Similarly, federal employees in the User Experience Community of Practice have varying views on FAQs. A recent listserv discussion touched on the reasons why some agencies still use FAQs (and why others avoid them). Below are selected comments and pieces of advice generated from the discussion. The Consumer Financial Protenction Bureau (CFPB) has an extensive FAQ section, AskCFPB, with roughly 1,100 questions. Ashley Gordon, Product Manager for AskCFPB, said that 10—15% of questions get the bulk of AskCFPB traffic. Her team is currently conducting an extensive content review. Users are also able to submit questions to AskCFPB. If the team sees a notable number of inquiries on the same topic, they examine their existing content to see if a rewrite is needed. They collaborate with subject matter experts to write content. There is also a Spanish language version of AskCFPB. Gordon said her team is also focused on increasing user engagement. Stephanie Thum, Vice President of Customer Experience at the Export-Import Bank, said FAQs are a key tool for the Ex-Im Bank’s customer contact center. Agents use the FAQs to respond to routine phone calls, emails, and online chats. However, she acknowledged there can be difficulties. DigitalGov previously covered how ExIm improved their contact centers to deliver better customer experience. The difficulty of maintaining FAQs was cited as a challenge: how can agencies ensure that the questions reflect what users are currently looking for? Kevin Cropper, Manager in the Office of the Chief Information Officer at Peace Corps, said that FAQs are often set-up early in the project development process, and offices do not always take the time to post new questions or responses. Using other tools has helped Peace Corps evolve beyond a traditional FAQ. Dana Chisnell, user experience researcher and consultant at the U.S. Digital Service, said the reports from the Nielsen Norman Group are thorough and generous, but rely on the assumption that sites won’t be able to throw out their FAQs. While that assumption is fair, Chisnell said, it does not absolve organizations from taking a critical eye towards FAQs. For those starting a new site or implementing a redesign, Chisnell suggest doing user research from the beginning to understand what questions users have. Should FAQs be used, or are they a tired fad? Leave your thoughts and comments below!